In the following lines, we will offer you several tourist trails that will help you recognize the beauty and diversity of the area known as Lachian Gate. We will try to introduce you to trails which can show you the romantic Štramberk, thoughtful Příbor, soothing Hukvaldy or Kopřivnice with its car industry and their surroundings. So, pack up some snacks and let's go! 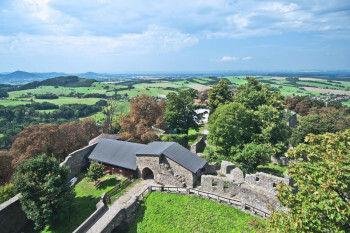 Moravia's second largest castle ruins can be found in the village of Hukvaldy, which is where we want to take you. Those not afraid of pushing a baby carriage uphill can hit the trail with one. The trip is somewhat physically demanding, but not impossible, thanks to the asphalt road leading through the park up to the castle. The trail named Trip to Hukvaldy castle is 4 km long and will take you from the parking lot in the centre of the village to the castle. You will encounter a stone gate along the way while entering the castle's park or the rich root system of several mighty beeches. We also mustn’t forget about the Bystrouška Fox monument in close proximity to the natural amphitheater. Stroking its tail will surely bring you good luck, as legend has it. After the tour of the castle you will return – unless you have a baby carriage – back along the forest footpath which offers you not only the shade desired in summer months, but also the necessary space for nostalgia and reflecting on the impregnability of the castle. Those with a baby carriage will use the same asphalt road to return as they did on their way to the castle. You can extend your trip by walking through the side alleys of the village, in which you can find the Tropic exposition with exotic plants and animals of the Leoš Janáček Memorial – a unique museum with a preserved original interior from the times of this famous composer's life. And if you’re all tired out from the trip, there’s nothing easier than recharging your batteries in the stylish restaurant called U Námořníka or taking a bite of the fresh pies from the local bakery. And perhaps you would like to know where to find the largest ruins of Moravia, which we mentioned in the beginning? That, we can tell you. It is Helfštýn near the town Hranice. And if this walk is still not enough for you, you can check other places visited by the world-famous local music composer Leoš Janáček. You can follow the educational trail known as Leoš Janáček through the eyes of children. It is 8 kilometers long and includes 13 stops and two acoustic interactive game components. It starts and ends in the centre of Hukvaldy, where Janáček was born in the building of the old school. The original object has not been preserved and there is a former multi-storey school building in its place, in which the information office can be found today, among other things. If you give this trail a try, it will lead you, for example, to the hill called Vrchy, from which you will have a lovely view of Hukvaldy provided the weather is nice, but also the more remote areas, or the inn Na zastávce. Don't let the exterior of the building discourage you and go try the local beer, which is brewed right on the premises. The trail also leads to Janeček's bench on the hill, where the composer liked to go to think. 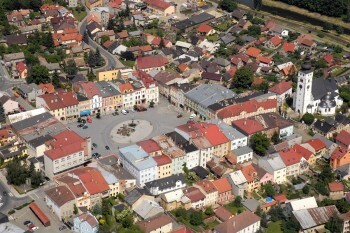 The town Příbor gained the award of Historical town of the year for its effort to renovate the town's conservation areas in 2015. Despite having an area of around 8.5 hectares, this conservation area is one of the smaller ones, we can find 64 historic sights here and 12 other objects nominated to become historic sights. 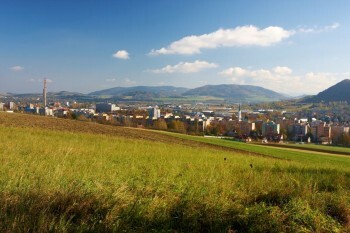 And this town, one of the oldest in Moravia, is where we would like to invite you as our second tip. For a walk that is only 2 km long you can use the Educational trail of the Town's conservation area, which starts in the town centre at the square named after none other than the most famous local figure – Sigmund Freud. Thanks to it you will not miss the most important sights of the town including Freud's memorial and family house, local churches and the Piaristic monastery with beautifully renovated gardens, where you can end your short trip. The Piaristic gardens are a place where you can gather new energy for discovering more beautiful places. The area of the gardens is more than five thousand m2 and they are divided into two parts on the basis of their use. If you are lucky, you can come across a chamber music concert, rehearsal, dancing or a romantic wedding, which this area is ideal for. The gardens are magical in the dark as well, as that is when the whole Piaristic monastery lights up. You don't need any more reasons to visit this place, do you? 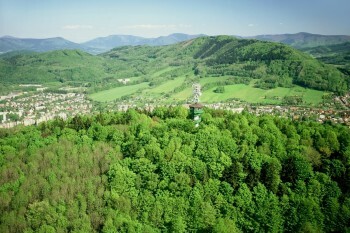 Our next tip for a lovely trip is a trail named Roaming through Štramberk. 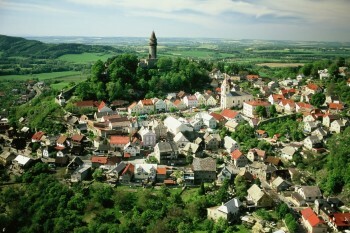 Once you complete it, you will have seen nearly everything important there is to see in Štramberk. If you don't want to get lost, use the Lachian educational trails markings. The trail itself – if you don't use any shortcuts – is practically identical to the educational trail, only the orientation of the walk is opposite. The whole trail is 6 km long and there are 13 thematic boards that will briefly introduce you to the history of the town and the unique landscape. 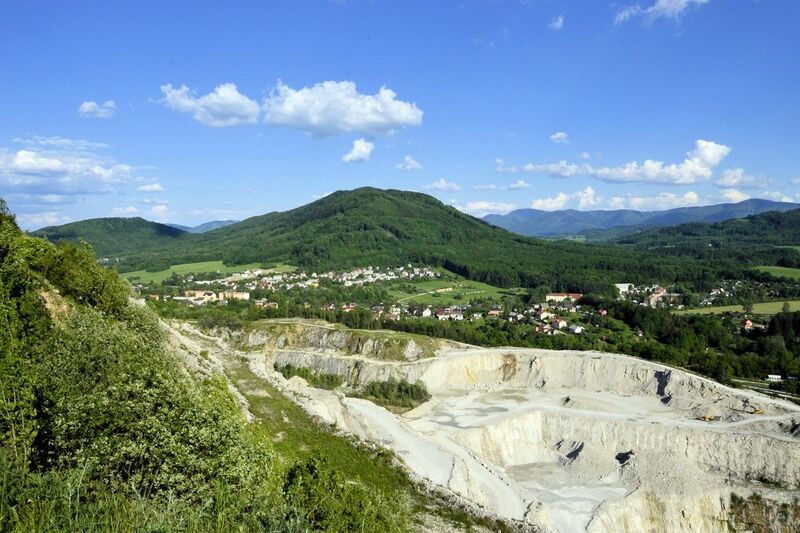 You will learn which animals or rare plants you can find there and you will take delight in remarkable sights, such as the limestone quarry Kotouč or the rock wall known as Jura's stone (Jurův kámen). You can best enjoy the sunset from Red Rock (Skála Rudý) or Castle Hill (Zámecký vrch). The cylindrical tower Trúba or White mountain (Bílá hora) observation tower offer great sights from above. And the developing botanic garden will attract the attention of all flower and rock structure enthusiasts. Both the official start and the official end of the educational trail are situated in the National orchard in close proximity to the central parking lot. However, the trail we recommend starts at the parking lot near the botanical garden, which is the only unpaid one – for now. Moreover, you don't have to follow the whole trail but you can adjust it based on your mood or based on the weather. Either way, don't forget to taste the local specialty called Štramberk ears (Štramberské uši)! Their intoxicating gingerbread smell will undoubtedly follow you through the entire trip. The majority of the visitors of Kopřivnice only visit one of the biggest tourist attractions of this area – the technical museum dedicated to the history and products of the local car factory Tatra. But if you really want to uncover the secrets of Kopřivnice, you should also take the part of the Lachian educational trails that is located in Kopřivnice. It passes through the most attractive areas of this town of housing estates and primarily its surroundings. 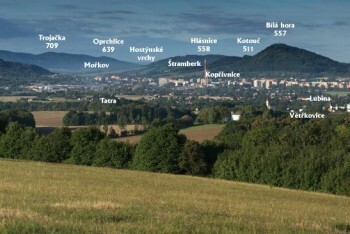 The 16.8 km long trail (if the length scares you, just keep reading ;-)) includes 18 thematic boards providing you with a lot of interesting information about Kopřivnice. The starting point is the train station of Kopřivnice, but you can also start at the parking lot near the local swimming pool, which is especially convenient, if you arrive by car and choose one of the shorter trip options in the area of the Red Stone (Červený kámen) – Trips to the surroundings of Šostýn Castle, or the parking lot on Alšova Street near The Reeve’s House (Fojtství) Museum for the White mountain region (Bílá hora) – From Kopřivnice to White mountain. In this way we would like to calm down those, who were scared by the total length of the educational trail. No, it is not necessary to follow the whole trail, and therefore we have prepared shorter trail options for you as well using only the markings of the educational trail. And so it is only up to you to decide whether you only want to go on a trip to the ruins of Šostýn Castle or whether you would rather try the more demanding ascent to the top of Red Stone, which will provide you with an idyllic view of the whole town. And if the weather isn't ideal for spending time in nature, there is another alternative solution – visiting local museum displays. By buying the circular ticket, you get to visit not only the famous Technical museum Tatra, but also The Reeve’s House (Fojtství) Museum and the Lachian Museum in Šusta's Villa (Lašské muzeum v Šustalově vile) at a reduced price. You will gain comprehensive knowledge about the local history, local people and the latest happenings thanks to the changing thematic expositions. You can use your car to travel among the individual expositions, but it is also possible to walk the route. Furthermore, we suggest that you go check Oldtimer, the newest local museum. It is dedicated to veteran cars as well, but this time from the whole world. This private collection is, unlike other museums in Kopřivnice, open even on Mondays. Lastly, one more tip – if you are a fan of microbreweries, we recommend that you visit the Oldtimer restaurant located opposite the Oldtimer Museum, where you can taste the local beer Polivar. You can find all the trips we offer in the touristic area of Lachian gate in the Beskids on our official website www.lasska-brana.cz/en/trips. You can also read detailed descriptions of the trails including resource materials with maps and introductions of individual points of interest. It is possible to go along some trails with a baby carriage or while riding a bicycle. It always depends on the tourist's abilities. And if the published information is still not enough for you, you can drop by one of our information centres, where we will be glad to see you and give you more tips on how to enjoy your holiday! 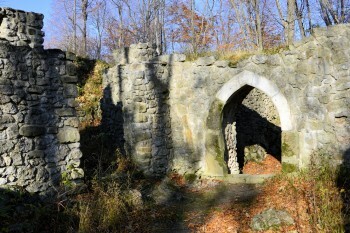 The municipality of Lachian gate in Beskydy website.